Broaden your lexical horizons during the festival and look out for these Free Words of the Week, just outside Free Word Centre. Take a picture and join the conversation online with #FreeWordOfTheWeek or go further by putting them on display where you work! 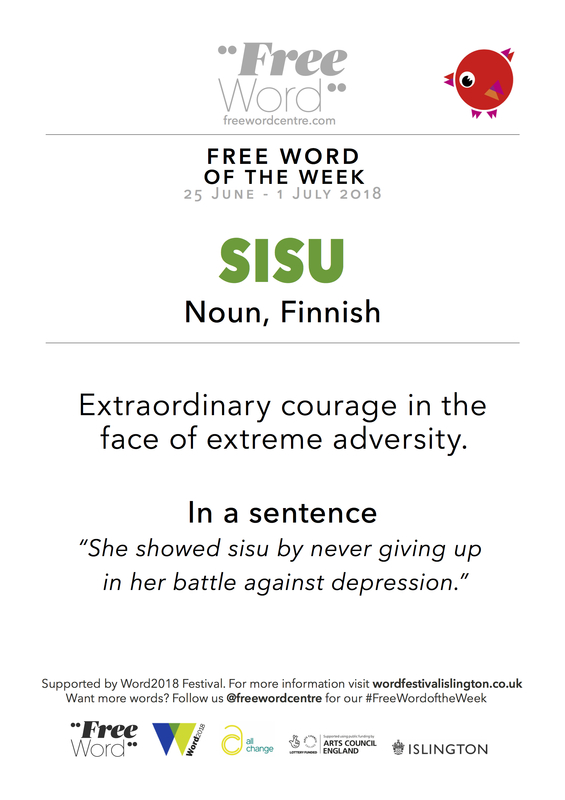 Expect to stumble upon a unique new word each week, connected to the festival’s wellbeing themes. Head over to freewordcentre.com/free-words to find out more or sign up for weekly posters.